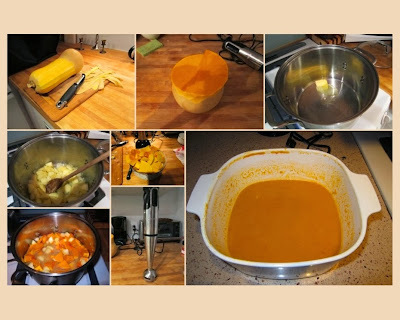 One of my favorite fall dishes is butternut squash soup. The first time I ever had this soup was when my friend had a cooking demonstration bridal shower. 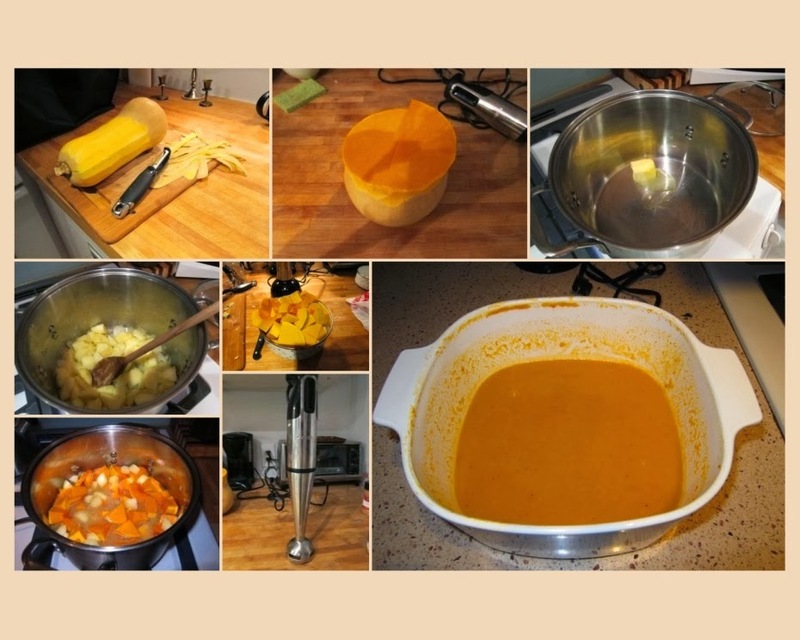 Her recipe was butternut squash soup and was mostly similar to this recipe which is a combination of hers, one from Woman's Day and some of my own modifications. I've eliminated the heavy cream for a lower fat recipe and also increased the ratio of cider to broth to make the soup both sweeter and thicker. This is a great appetizer for Thanksgiving. Melt butter in 5-quart pot over medium heat. Stir in onions and apples. Saute about 5 minutes. Add butternut squash cubes, broth, cider, salt and pepper. Bring to a boil, then reduce heat and simmer for 25 minutes. Using an immersion blender puree the soup. If you don't have an immersion blender you can use a blender in batches. A Shariously comforting fall soup! Shariously, this is amazing stuff.